The Science Programme developed by the Mirpuri Foundation, the Volvo Ocean Race and other key partners reveals that the vast majority of samples taken throughout the round-the-world competition contain microplastics. 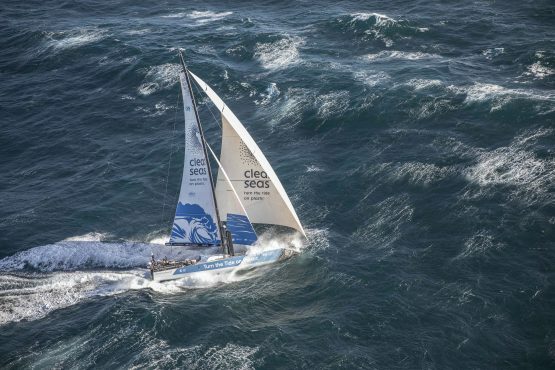 The programme reached a significant milestone when the race completed a global circumnavigation following its arrival into Cardiff, Wales in May 2018, eight months after departing from Alicante, Spain. Out of a total of 68 samples taken during the course of the Volvo Ocean Race, only two, collected south of Australia and east of Argentina, have been found to contain no microplastics. The most recent data, taken from sub-surface seawater samples collected on board Team AkzoNobel and Turn the Tide on Plastic boats, found 75 particles of microplastics per cubic metre in one taken off the US coast following the stopover in Newport, Rhode Island. Levels of 73 and 76 particles of microplastics per cubic metre were recorded as the boats headed towards the mid-Atlantic. These could be connected to the edge of the North Atlantic garbage patch, one of five ocean ‘gyres’, estimated to be hundreds of kilometres across in size. In the mid-Atlantic, 63 particles of microplastics per cubic metre were recorded, while close to Cardiff, levels were slightly higher with 65 particles of microplastics per cubic metre found. The highest levels of microplastic found so far, 349 particles per cubic metre were found in a sample taken in the South China Sea that feeds into the Kurushio Current and the North Pacific Gyre. The next highest levels, 307 particles per cubic metre, were found at the point where the Mediterranean Sea and Atlantic Ocean meet. 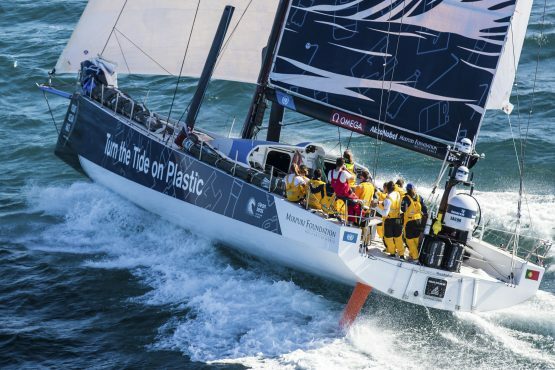 The microplastic samples were analysed by members of the Volvo Ocean Race scientific consortium in Kiel, Germany. The data is then uploaded to a National Oceanic and Atmospheric Administration (NOAA) microplastics database where scientists are able to access it open source. Dr. Toste Tanhua of GEOMAR Institute for Ocean Research Kiel, funded by the Cluster of Excellence Future Ocean, carried out the analysis and is presenting the findings at the Volvo Ocean Race Ocean Summit in The Hague, Netherlands on Thursday 28th June. The series of seven Ocean Summits have convened key stakeholders at race stopovers where announcements by governments, business and a range of organisations, have resulted in significant steps to help tackle the global ocean plastic crisis. The latest samples were collected on the 3,300 nautical mile leg from Newport to Cardiff. The boats also collect other oceanographic data measurements including temperature, dissolved CO2, salinity, algae content (as chlorophyll) that gives an indication of levels of ocean health and acidification. Volvo Ocean Race boats are also collecting data that is essential for forecasting of future weather and climate changes, in both the short and long term. This is already being utilised by the World Meteorological Organisation and UNESCO’s Intergovernmental Oceanographic Commission. 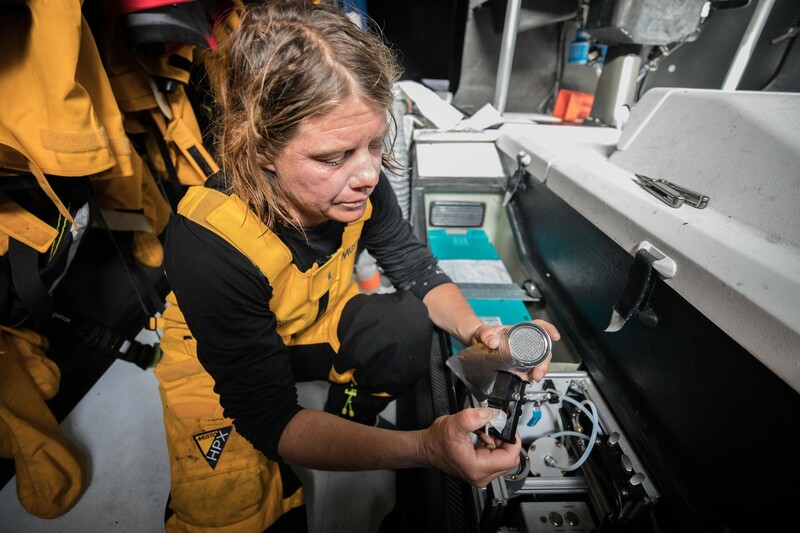 Anne-Cecile Turner, Sustainability Programme Leader for the Volvo Ocean Race, added: “The race has now come full circle and the fact that just two of the samples didn’t contain microplastics clearly shows how pervasive they have become. Microplastics are often invisible to the naked eye and can take thousands of years to degrade. By collecting information on their levels, the Science Programme is helping scientists gain insight into the scale of plastic pollution and its impact upon marine life. The Volvo Ocean Race Sustainability Programme is a partnership in collaboration with Sustainability Partners 11th Hour Racing, the Mirpuri Foundation and our other main partners, Volvo, AkzoNobel, Ocean Family Foundation, Stena Recycling and Bluewater. The Turn the Tide on Plastic boat is, furthermore, supported the by Sky Ocean Rescue. The Volvo Ocean Race Science Programme is funded by Volvo Cars, who are donating €100 from first 3,000 sales of the new Volvo V90 Cross Country Volvo Ocean Race edition to support the initiative. Stuart Templar, Director of Sustainability at Volvo Cars, said: “This ground breaking programme has provided invaluable data on the health of our oceans, particularly the global extent of the problem of marine plastic pollution. At the Ocean Summit in Newport, Volvo Cars stated that they would be removing all single use plastic items from their offices, restaurants and events by the end of 2019. In Gothenburg, they announced that from 2025, at least 25% of the plastic in newly launched Volvos would be made from recycled material. To further our understanding of the issues connected to plastics the Sustainability Programme is conducting a post race workshop with key global stakeholders from science, academia, the private sector and other institutions to explore the theme: ‘’From micro to nano plastic pollution: the current situation and our knowledge gaps.